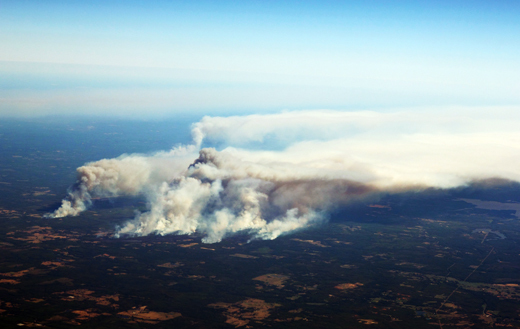 There have been widespread accounts of wildfires in east Texas, due in large part to the extreme drought conditions. 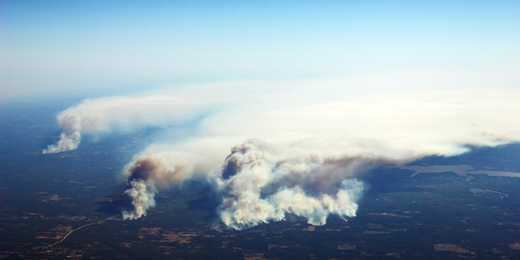 These blazes were spurned on yesterday by gusty winds. 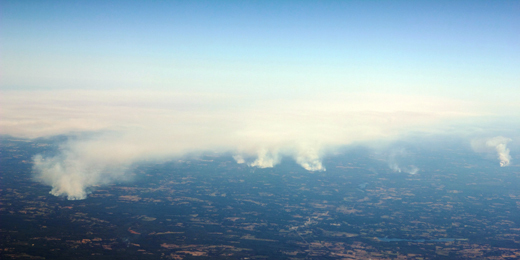 Below are some aerial photos of those wildfires as we returned to Birmingham on Labor Day, in what would eventually become the most dreadful flying experience of my life, and involved people crying and vomiting. I was about ready to start looking for Jonah and toss him off the boat. The NBC affiliate in Tyler, Texas (KETK) has elected to use a couple of the photos on their website. These photos taken with a Canon EOS Rebel T2i and Canon EF 50mm f/1.8 II. Copyright Jeremy Richter. Simple theme. Powered by Blogger.